In this post there are links to all the blog posts I have written in response to our time in El Salvador. I hope that in these posts you see hope and proof that the Gospel of Jesus is light in dark places. I hope that the words I’ve written illustrate the good and effective work of Compassion, in the name of Jesus, in El Salvador, and around the world. 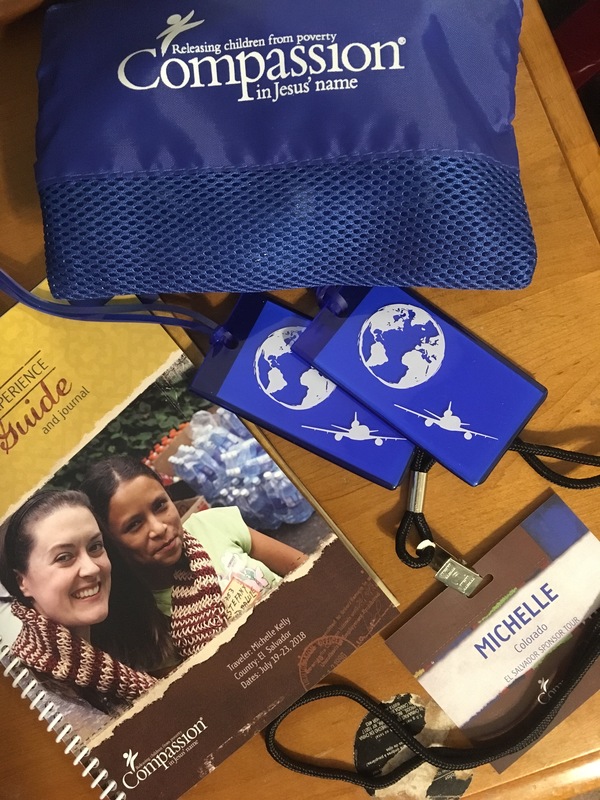 September 12-17, 2015 my daughter, Janet, and I had the exciting opportunity to travel to El Salvador with 28 other women through Compassion International. We went to celebrate with a new child development center, visit other more established centers and, meet our OWN sponsored children. Our first home visit was an easy country walk from the church in rural northern El Salvador. We crossed the highway onto a grassy lane and walked the distance of about two city blocks. To our right there were crop fields, and low mountains. To our left were just a few houses, some with a type of brick walls and corrugated metal roofs. Other homes were more rustic, constructed entirely of corrugated metal pieced together, held together with wire and tree branches. There were no water nor sanitation services in this community. Malnutrition, intestinal parasites, dengue fever and typhoid fevers are a risk for the people of this community. An Invitation To El Salvador! For the last few years I have been praying for our family to have the opportunity and provision to travel to Africa to visit our sponsored kids who live in Uganda, Kenya and Tanzania. I have also prayed for the same thing to visit Laura in Bolivia and Johana in El Salvador. The prayers increased when I noticed that Johana’s graduation date had been moved up, to April of 2016. 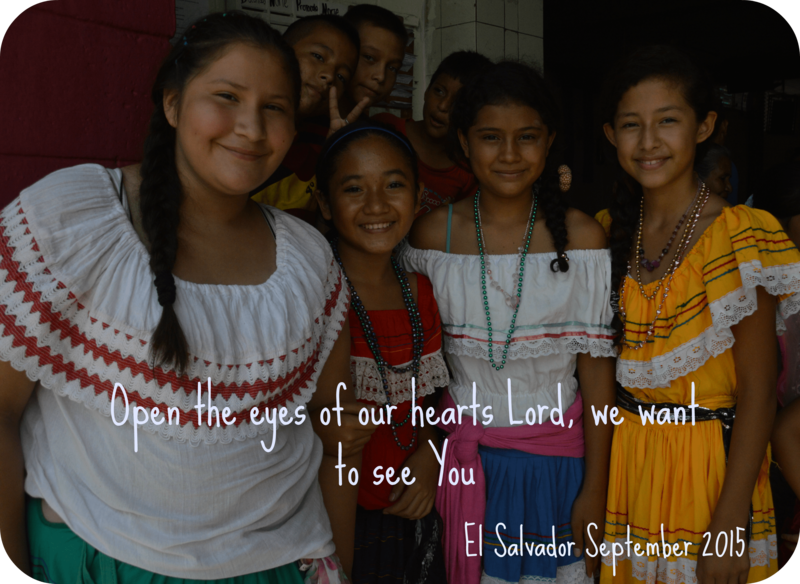 Sunday, September 13 was our first full day in El Salvador. We were all up early, ready and quite excited about our first Child Development Center visit, to ES-952 Casa de Pan (House of Bread). Personally, while I was excited about seeing the children and meeting families, I was probably more excited that since it was Sunday, we would be worshiping together with the church, the children and their families. This type of fellowship inspires me deeply. To be gathered with believers of another culture, to hear the Scriptures read in their language, to enter into joyful worship as they sing their songs gives a peek into heavenly worship, when people from all tongue and nations will gather together. As we headed out I was full of anticipation!